Quotations about Alice In Chains. Quotes to stimulate mind and drive action! Use the words and quote images to feed your brain inspiring things daily! 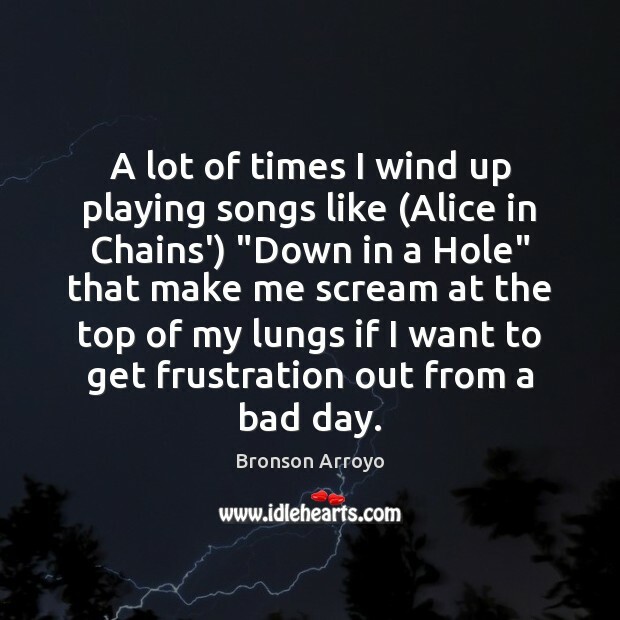 A lot of times I wind up playing songs like (Alice in Chains') "Down in a Hole" that make me scream at the top of my lungs if I want to get frustration out from a bad day. 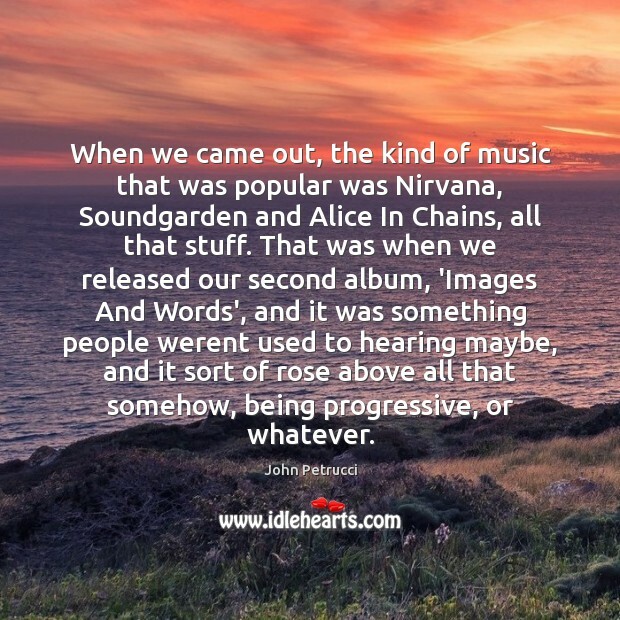 When we came out, the kind of music that was popular was Nirvana, Soundgarden and Alice In Chains, all that stuff. That was when we released our second album, 'Images And Words', and it was something people werent used to hearing maybe, and it sort of rose above all that somehow, being progressive, or whatever. I'm going to keep thinking about topping myself every time. I can say very confidently that Alice In Chains have done that on every record. It surprises me. I don't go in there expecting that, but I do go in there hoping for it. 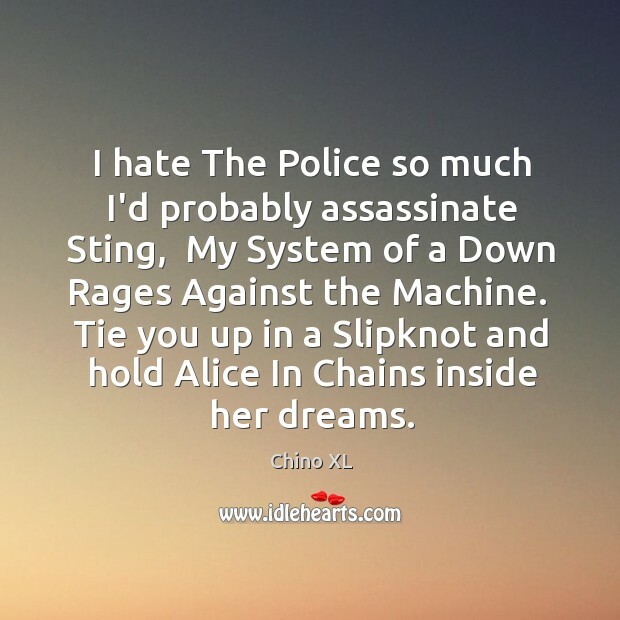 I hate The Police so much I'd probably assassinate Sting, My System of a Down Rages Against the Machine. Tie you up in a Slipknot and hold Alice In Chains inside her dreams. Every day, I hear a song and I think, This would be great to cover on Glee. 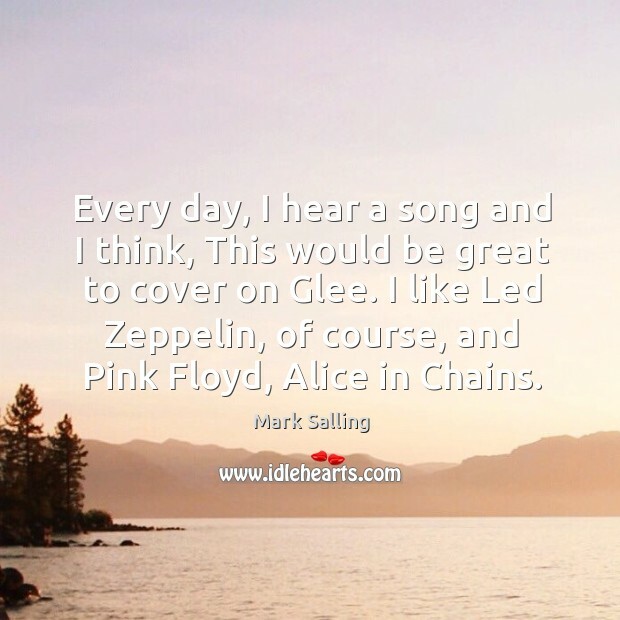 I like Led Zeppelin, of course, and Pink Floyd, Alice in Chains. 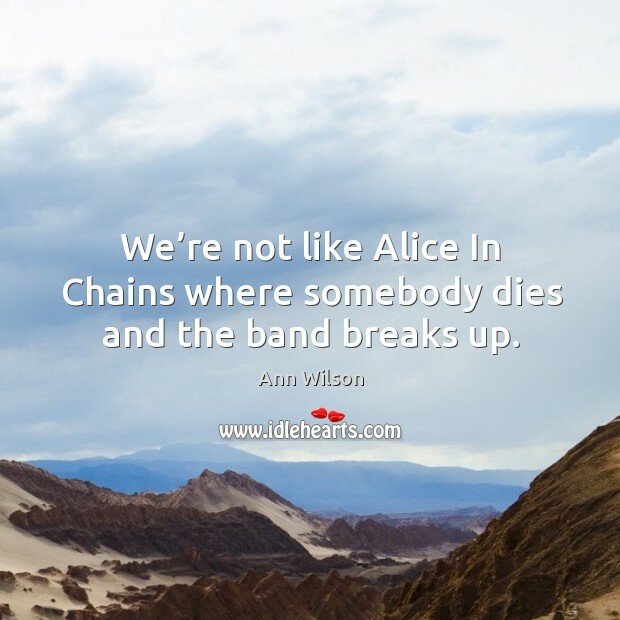 We’re not like Alice In Chains where somebody dies and the band breaks up.